Battle of Carabobo Day is a Venezuelan public holiday celebrated on June 24. It honors both the key battle in the Venezuelan War of Independence and the nativity of Saint John the Baptist. It is also referred to as Army Day. The Battle of Carabobo was fought on June 24, 1821 during the Venezuelan War of Independence. In this battle, independence fighters led by General Simón Bolívar defeated Spanish royalists led by Field Marshal Miguel de la Torre. 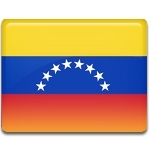 Decisive victory of Venezuelan patriots finally led to the recognition of the country's independence from Spain. Battle of Carabobo Day is celebrated as a national holiday. The festivities involve a military parade and an air show held in the state of Carabobo. The parade is sponsored by the government. It is the country's largest military parade after the parades held on Independence Day (July 5) and Simón Bolívar's birthday (July 24). The site of the parade was once changed in 2005 as President Hugo Chávez feared a possible assassination attempt. That year, the parade was held in Caracas, the capital city of Venezuela. The Ministry of Education and the Carabobo State Government also hold a historical reenactment on the site of the battle attended by elementary and middle school students.